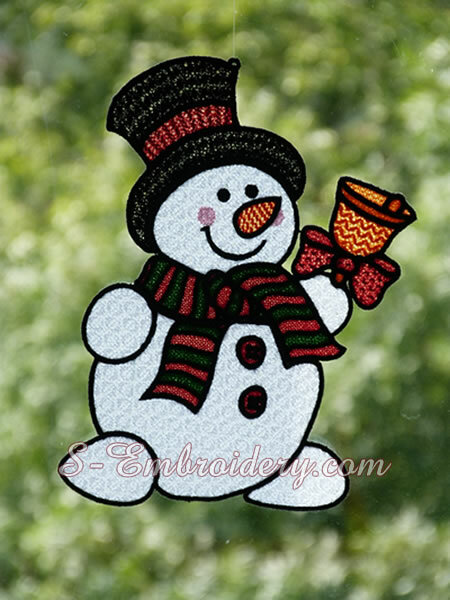 A fine Free standing lace Snowman Christmas ornament. 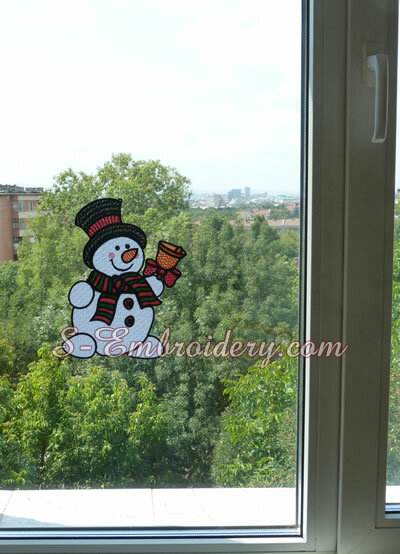 With this machine embroidery design you will create a cute Snowman window decoration. 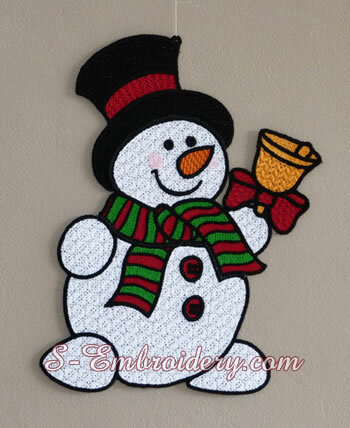 The size of the embroidered snowman would be approximately 7.7 x 10.5 inches (195 x 265 mm). The design is split in 3 parts, so that it can be stitched in 5x7 (130x180) hoops. The parts are easy to put together using machine zig-zag stitches. The largest part has a size of 5x7 unches (129.4 x 179 mm).
. The number of colors varies between 2 and 7. Number of stitches is between 16,974 and 46,438. You receive 3 machine embroidery files, as well as PDF files with design information and instructions.